8.11 points at 46 votes (rank 63). 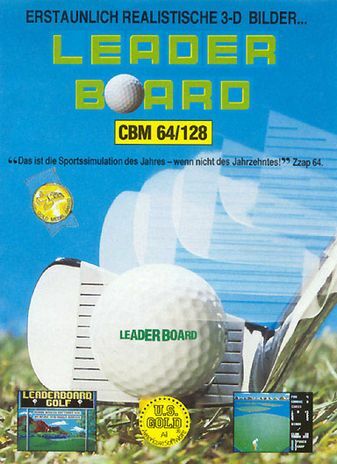 "Leaderboard" is the first programme of the golf simulation series "Leaderboard" and was prized by Zzap (well-known games magazine at that time) with the "Gold Award". With "Leaderboard Tournament" an extension disk with 72 new courses was published in the same year. "Leaderboard Executive", the second programme of the "Leaderboard series", contains new landscape features as trees and bunkers. "World-Class-Leaderboard", is the last and probably the best programme of the golf simulation series with the courses Cypress Creek, Doral Country Club, St. Andrews, Gauntlet Country Club. With this also three additional course disks were released with each 72 courses. Special features are the course overview (top view), the punch shot, the printable score card and the course editor with which you can change existing courses. This golf simulation is still today worth playing. 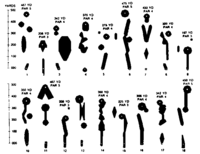 Calculated multi-coloured 3D graphics, some sound effects (e.g. tee off), no background music. Up to 4 players can play 18, 36, 54 or 72 holes. There are 4 different golf courses. Novice easy The wind has no influence on the stroke. The point of hitting is always central. Amateur medium The wind has no influence on the stroke. 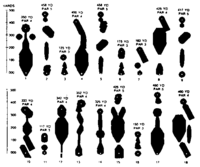 The point of hitting is always variable. Professional difficult The wind influences the stroke. 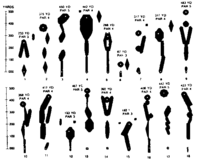 The point of hitting is always variable. Always check your club - make sure that the desired club is also shown in the display. 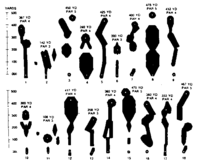 When adjusting the direction, it can happen that the choice of the club is unintentionally changed. If possible avoid hitting the ball onto the rim of the green. Greens are big and have distinctive up and down angles, so you will need 2 shots for a hole-in when the distance is too big. Attention: on the green you need to use the putter. When doing a shot over water, the distance needs to be estimated with special care. A shot with too little strength that lands in the water costs a penalty point. 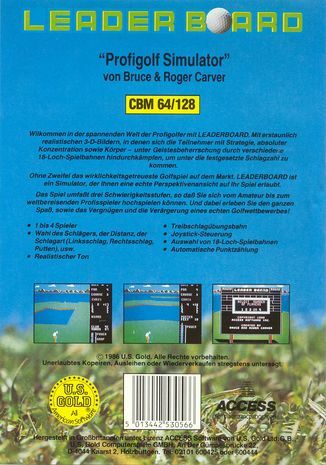 Werner: "The best golf game for the C64". Guybrush: "For me the second best golf game after Leaderboard 2. There you have additionally trees and dugouts, whereas here you only have water as an obstacle." 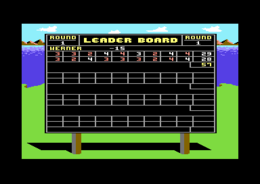 Shakermaker303: "THE golf simulation for the C64 par excellence. 10/10 for this ever"green" :-)"
Borna: "At the beginning of the autumn holidays we loaded it and wondered. Then we played it tentatively. And hey presto - the autumn holidays were over." 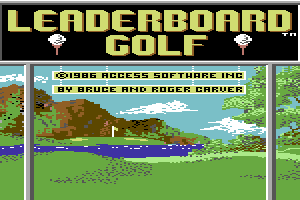 To load a golf course from the additional disk, insert the disk first and then press Shift + Return in the title screen.